Baraki voennopliennykh avstriitsev u stantsii Kannesemga [Kiappeselga] [graphic]. - . - 1 negative (3 frames): glass, b \u0026 w, three-tone separation; 24 x 9. - Correct identification of the location provided by O-J Paloneva. Kappeselga ism, by road, approximately 76 km. north of Kondopoga . 1. Territory of Russia (collection). 2. Log buildings. 3. Prisons. 4. Railroad tracks. 5. Barracks. 6. 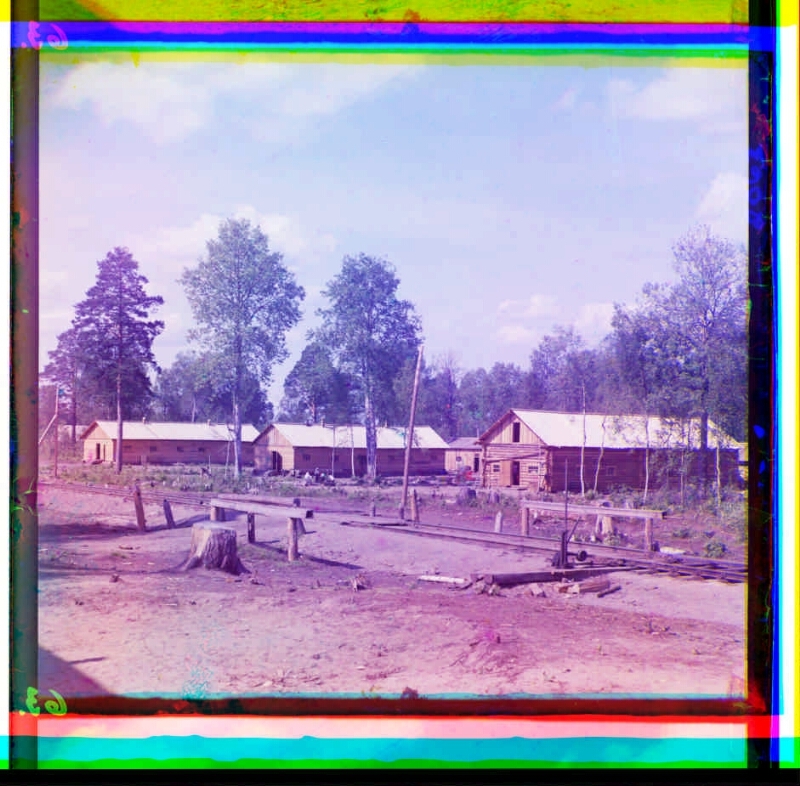 World War, 1914-1918 - Detention facilities - Russian. 7. Prisoners of war Austro-Hungarian - Russia - 1914 - 1918 - Photographs. 8. Color of negatives. 9. Glass negatives. 10. Photos are documentary.